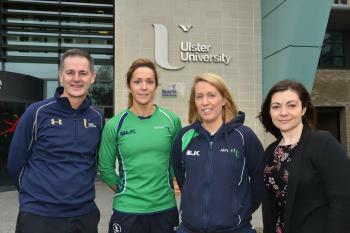 Ulster University and Netball Northern Ireland have announced a major partnership which will cover a wide range of areas including elite performance, workforce development and participation programmes.Ulster University has a rich history of success in Netball with the combined campus team winning th..
Netball NI is launching our new fundraising campaign in the run up to the Commonwealth Games and we need our netball community to get behind us!How can you support the squad and netball in NI in a meaningful way?Our dresses, designed by our kit sponsor BLK are going to be special and unique…d..
Netball NI are pleased to confirm that the second UKCC Level 1 course of the 2017-18 season will be at the Joey Dunlop Leisure Centre/Ballymoney on the following dates:28th January 2018 - part one24th-25th February 2018 - part twoIf you are interested in attending the UKCC Level 1 course please comp.. The newly formed Newcastle Junior Shooters Netball Club has been recognised by the Mourne Observer newspaper after its first club night recently got underway at Shimna College. The credit goes largely to its founder Charlotte Elliott for the time and effort invested in getting the club started..
For the full 2017-19 Prospectus open the link below:RELATE Coach Development Programme (2017-19 Prospectus).pdfFor an application form open the link below:RELATE application form.docxApplications close on the 7th December 2017. 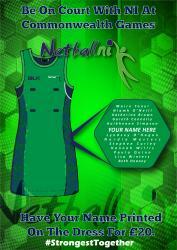 For more information for who to contact see the bottom of the flye..
Netball NI are pleased to confirm that the first Beginner Umpire course of the 2017-18 season will in Belfast at Shankill Leisure Centre on the following date:26th November 2017If you are interested in attending the Beginner Umpire Course please complete and return the form found below to Lisa via e..
We are delighted to be recruiting for a part time Everybody Active 2020 Netball Coach in the Ards and North Down Borough Council Area.Working in partnership with Ards and North Down Borough Council, we are recruiting for a part time post of 15 hours per week to deliver netball and develop sustainabl.. 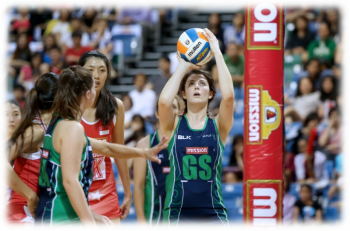 The Northern Ireland senior squad are coaching at a number of Netball Camps over the Halloween break - if you fancy learning how to shoot like Lisa or Kyla Bowman or take an interception like Gemma Lawlor then come along! !The sessions will be fun, active, and full of tips and tricks that will help y..
Northern Ireland’s netballers showed remarkable resilience in clinching European Championship silver medals yesterday in Cardiff for only the second time ever.The girls in green had to dig incredibly deep in somehow holding on for a 46-45 win over Scotland after having two players sinbinned in..